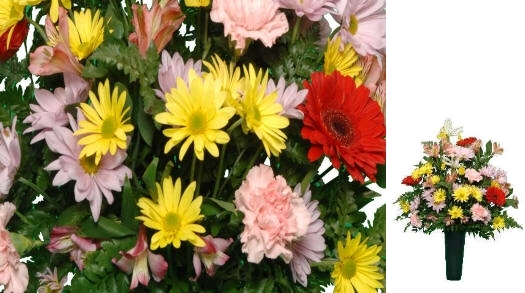 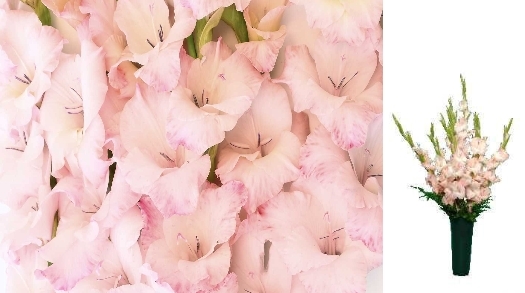 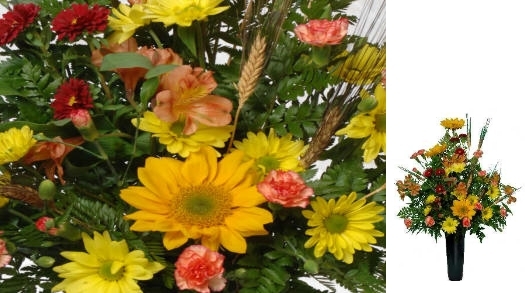 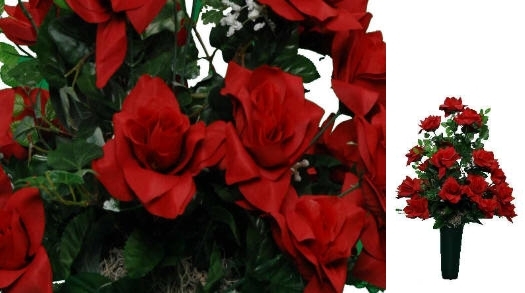 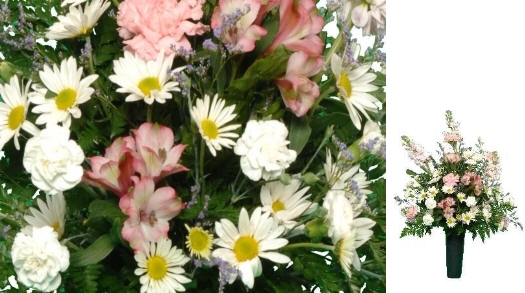 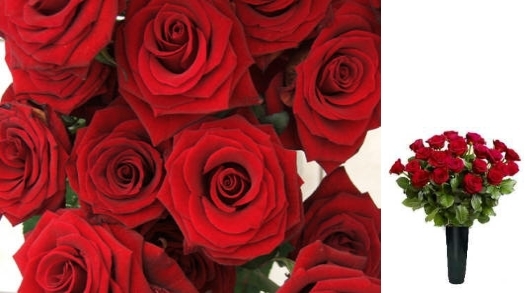 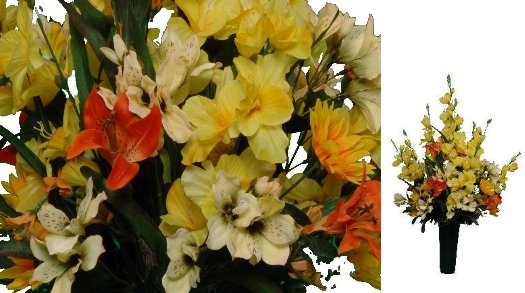 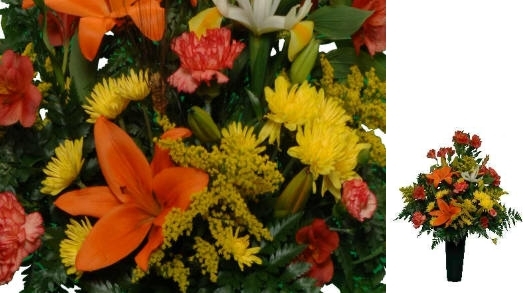 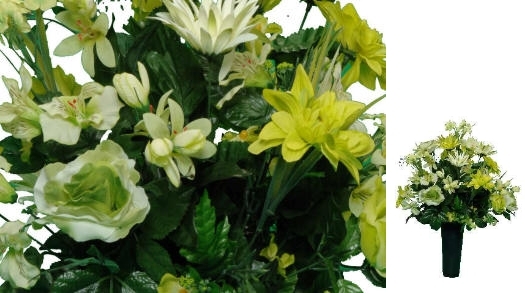 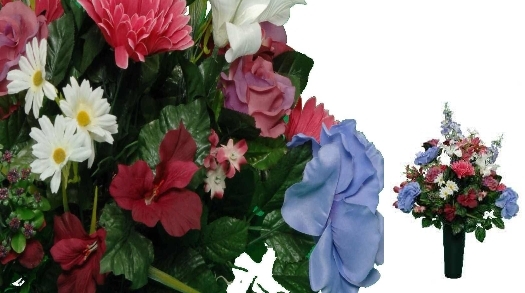 All flowers are placed in approved vases or stands that attach deeply into the ground to keep your loved one's flowers securely at their grave site. 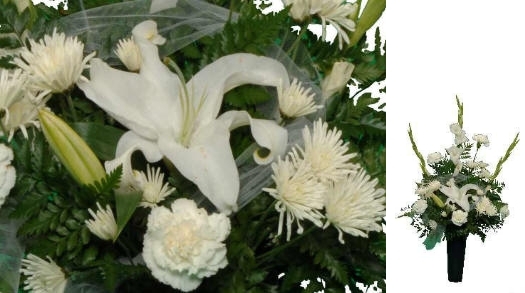 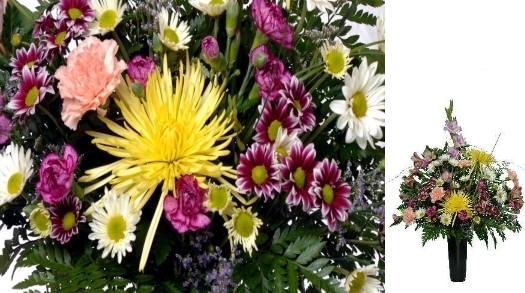 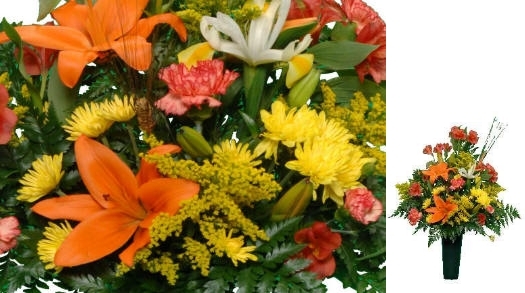 For Funeral Ceremony Arrangements Click Here! 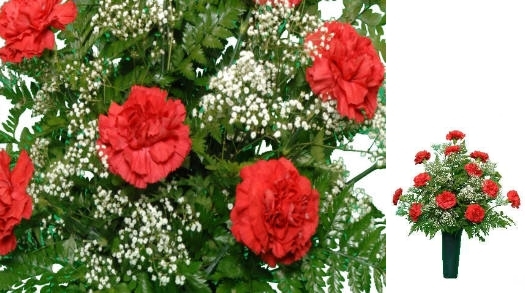 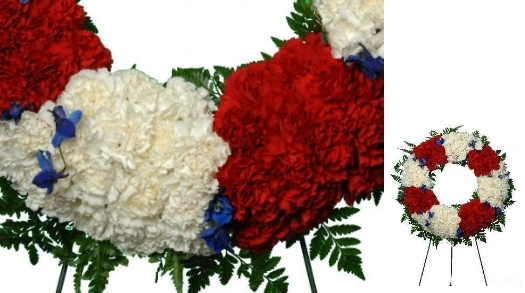 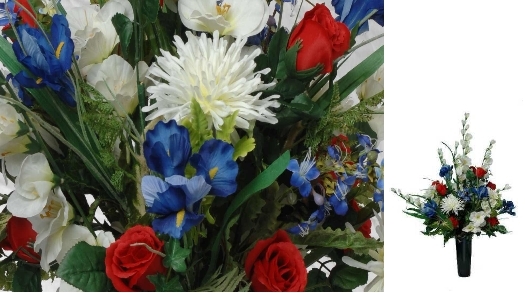 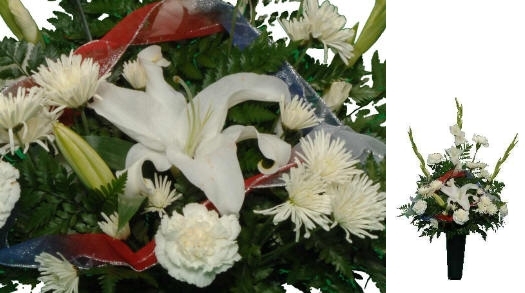 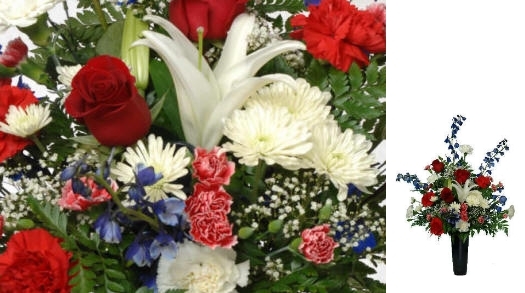 Fresh flowers will be substituted for the silk flowers if the national cemetery you have requested does not allow artificial flowers for the date you have requested. 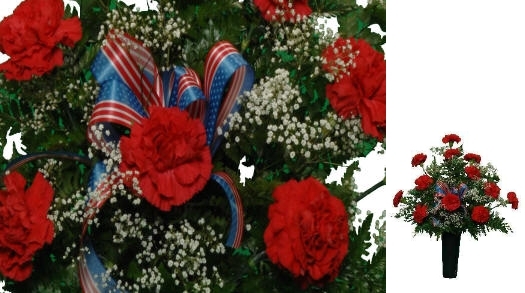 As a general rule, Silk flowers and potted plants will be allowed on graves for a period extending 10 days before through 10 days after Easter Sunday and Memorial Day. 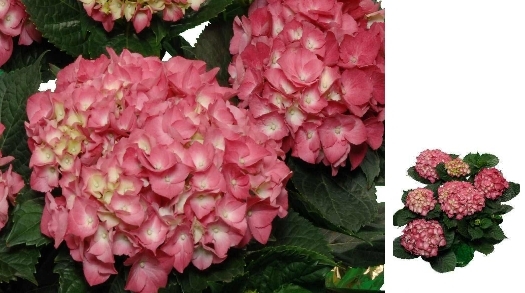 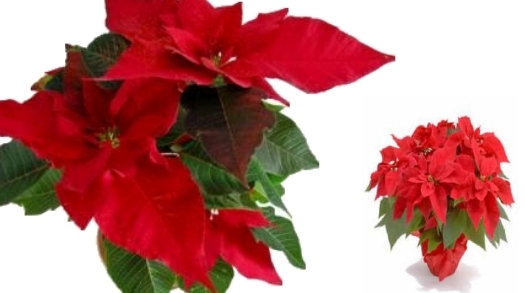 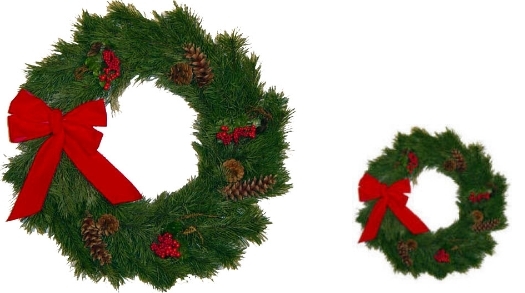 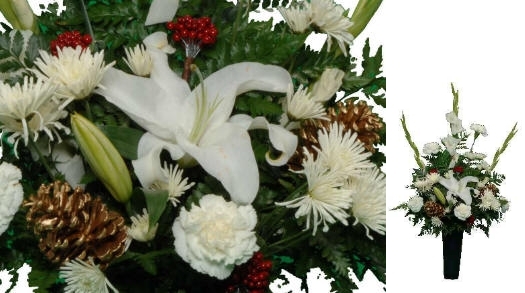 Christmas wreaths or plants can ONLY be placed on grave sites between December 10th and January 10th.